Wavestar is a British New Age Music Synthesizer band. In the mid-1980s, Sheffielder John Dyson ("JD"), an analytical chemist, answered a magazine advertisement from someone who was interested in musical technology and was looking for like minded souls. John Dyson's melodic style complemented David Ward-Hunt's sequenced based rhythms. When the pair seemed to spend more time copying tapes for listeners than writing new material, they decided to produce a cassette tape release of their work under the name of "Wavestar". In the mid-1980s, Sheffielder John Dyson ("JD"), an analytical chemist, answered a magazine advertisement from someone who was interested in musical technology and was looking for like minded souls. John Dyson's melodic style complemented David Ward-Hunt's sequenced based rhythms. When the pair seemed to spend more time copying tapes for listeners than writing new material, they decided to produce a cassette tape release of their work under the name of "Wavestar". "Mind Journey" became a considerable success within its genre; one copy finding its way into the hands of EM [new age synthesizer music] visionaries Denis and Jeanette Emsley. They asked John and Dave to play at the following year's "UK Electronica" [Britain's then most prestigious EM event]. Wavestar's appearance in 1985 was exceptionally well-received by the audience at the event. Subsequent concerts and a second cassette release Zenith, served to push Wavestar's reputation further. Within three years they were headlining "UK Electronica", and were receiving invitations to play in France and Spain. IShortly afterwards a record label realised the importance of the duo, and Wavestar signed to Jem Records, releasing "Moonwind". The new album was to receive extensive critical acclaim. Later they signed to the Dutch, Groove Unlimited, label. In the 1990s John Dyson, together with Anthony Thrasher, Paul Ward and Mark Thrasher founded Surreal to Real, a consortium of electronic musicians formed with the aim of producing, promoting and marketing their own material. In an April 1994 interview with Paul White, for Sound on Sound Magazine, John commented "We've always worked well together since we first met, which was around 1984. Anthony Thrasher and Stephan Whitlan were at university and were helping with the technical side of UK Electronica that year. Paul Ward was the one who put the ad in the music magazine, and about 20 or 30 of us, including Neil Thompson and Shaun D'Lear, used to get together in a pub and talk, or play electronic music. It was a brilliant ideal of Paul's, and eventually, the numbers dwindled down to around half a dozen of us who were really serious and that formed the nucleus of the Surreal team as it stands now". In April 1998 John Dyson was awarded the "Schwingungen" International award for his complete work in Electronic music. The song "Crystal Ashes" from the CD "Out of Time" was voted best song of 1997. On July 19, 1999, David Ward-Hunt died. Throughout the '80s and '90s John produced a series of critically acclaimed concept albums and currently 2004 has his own recording studio in Scotland and his own recording label "Soddett Hall". 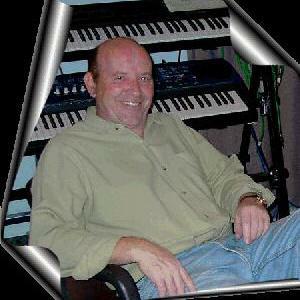 He has been working with Shaun Michael D'Lear and the D'Lear band in the studio and on tracks for himself. On the 18th of October 2008, John performed his first concert in many years at the Doghouse in Dundee, Scotland at the 25th Anniversary of the first UK Electronica Event.